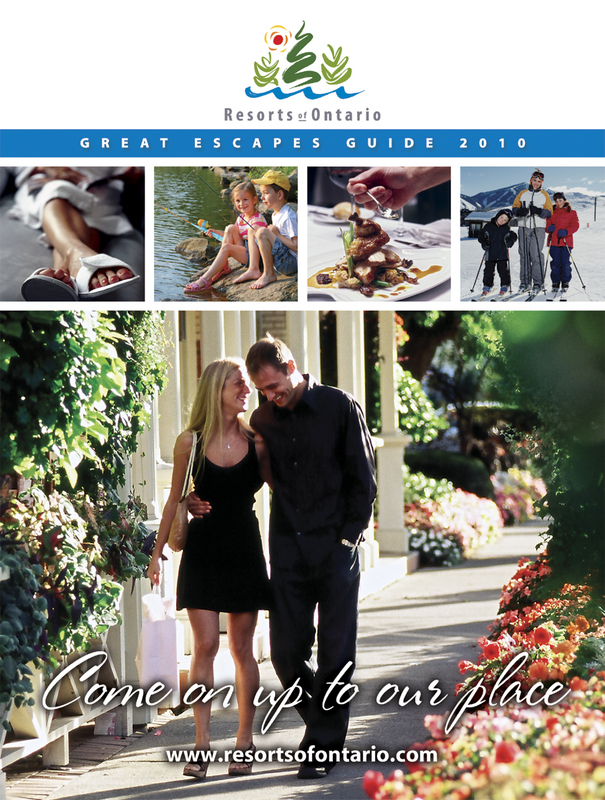 [caption id="attachment_557" align="alignleft" caption="The 2010 Resorts of Ontario Great Escapes Guide"] [/caption] Resorts of Ontario is pleased to announce that the 2010 Great Escapes Guide has been produced. New for this year is a vouchers section which provides special offers from a few resorts at during certain times of the year. We also are pleased to announce the new spa, winter and special events section. All 4 can be viewed at http://www.resorts-ontario.com//about/?page_name=inforequest along with an online version of the 2010 Great Escapes Guide. Or call to receive your hard copy of the guide at 1-800-363-7227.